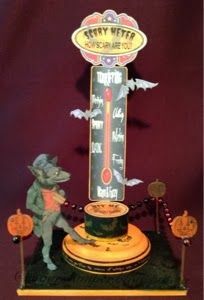 Things will be rockin all night at the Boo Bash. 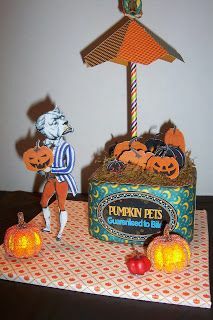 Notice the microphone in front and what a spectacular top! 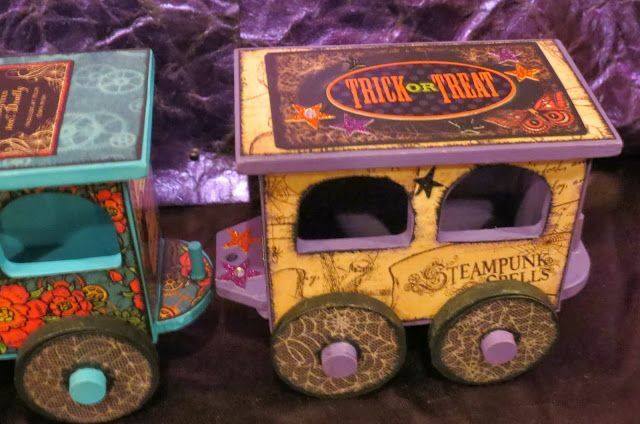 No worries about getting to the Halloween Carnival, just jump on the Steampunk Spells Train. 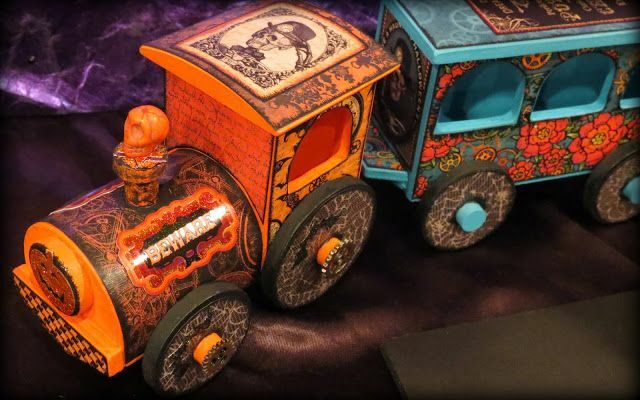 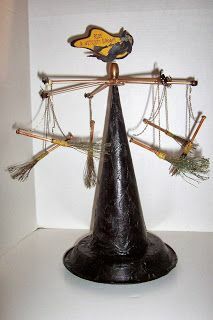 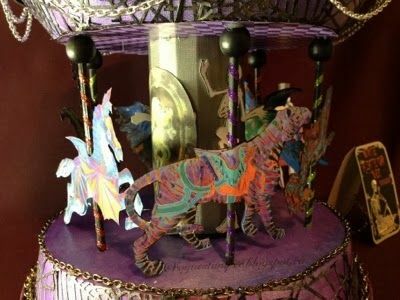 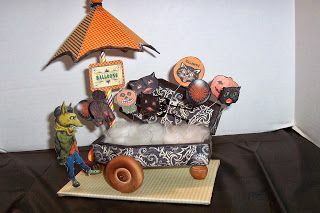 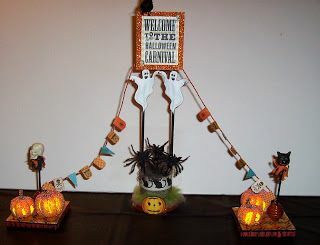 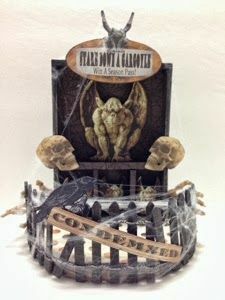 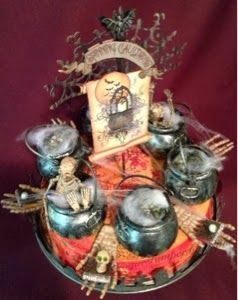 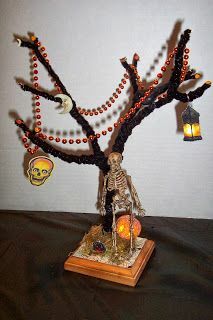 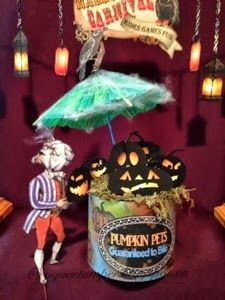 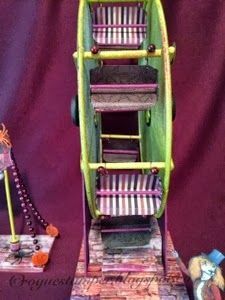 You can see more of Vic’s artwork and details about how she made her carnival pieces on her blog Vic’sCreations. 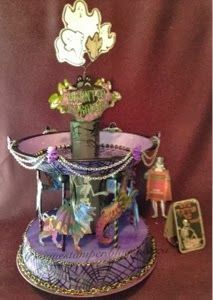 Oh my, you are not going to believe all of the pieces Laurie has made. 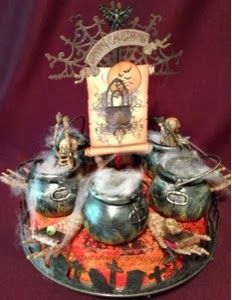 The paper she used looks like a fire is burning under those pots and I love the graveyard trim. 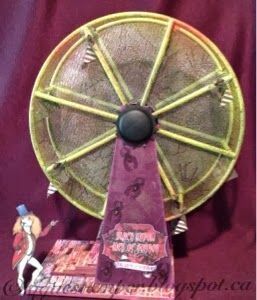 Laurie couldn't find lamp shade hoop so she had an epiphany and decide to use splatter screens (to keep grease from popping out of the pan) as the sides of her Ferris Wheel. 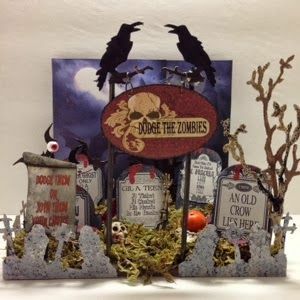 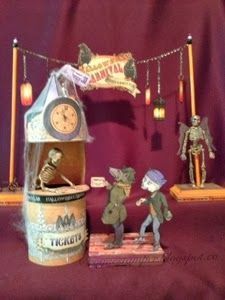 For more pictures and details checkout Laurie’s blog “The Rogue Stamper”. 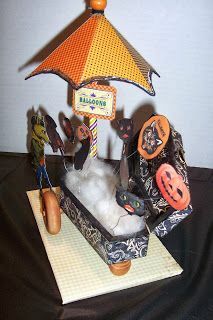 Karen has been a busy girl creating her carnival. 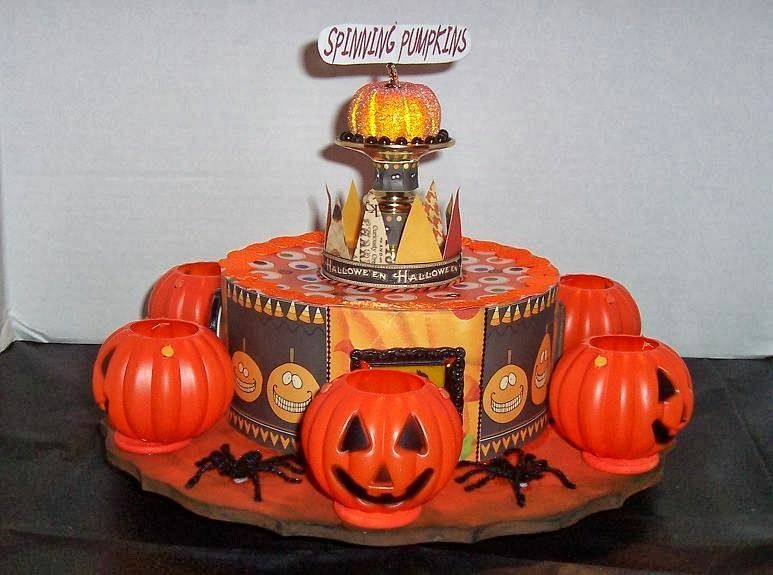 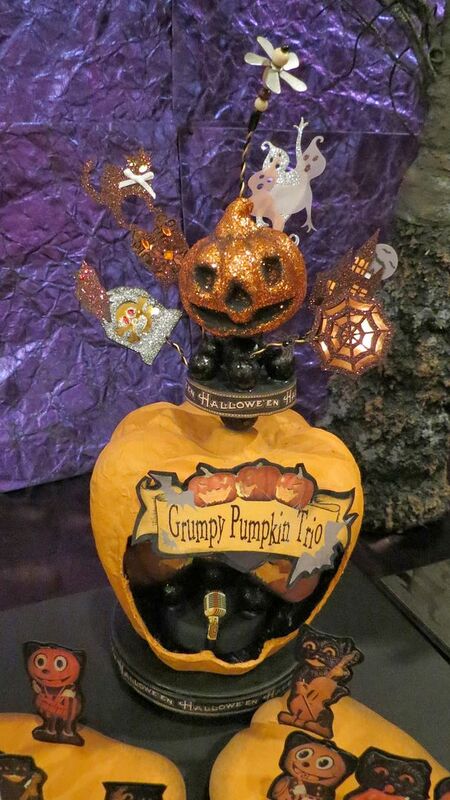 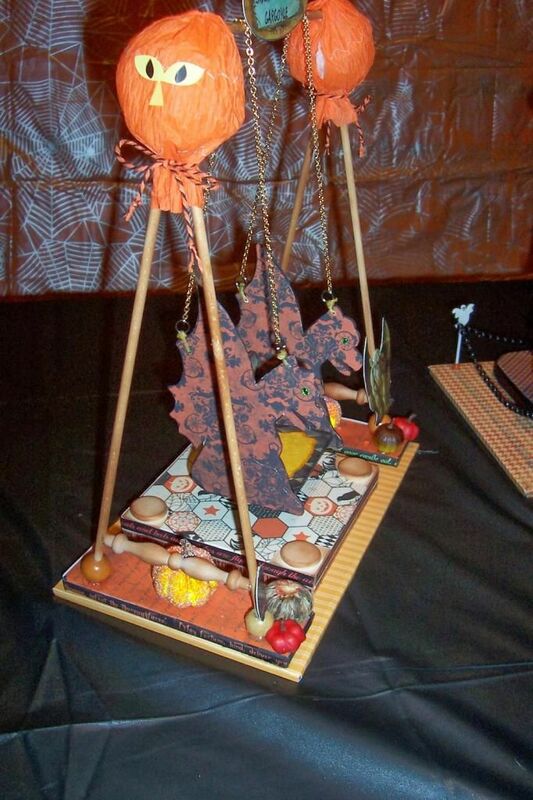 What a great idea; instead of spinning cauldrons why not spinning pumpkins! 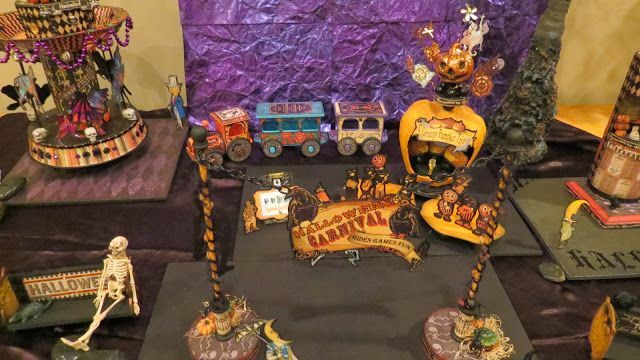 Karen’s balloon cart is made from a coffin. 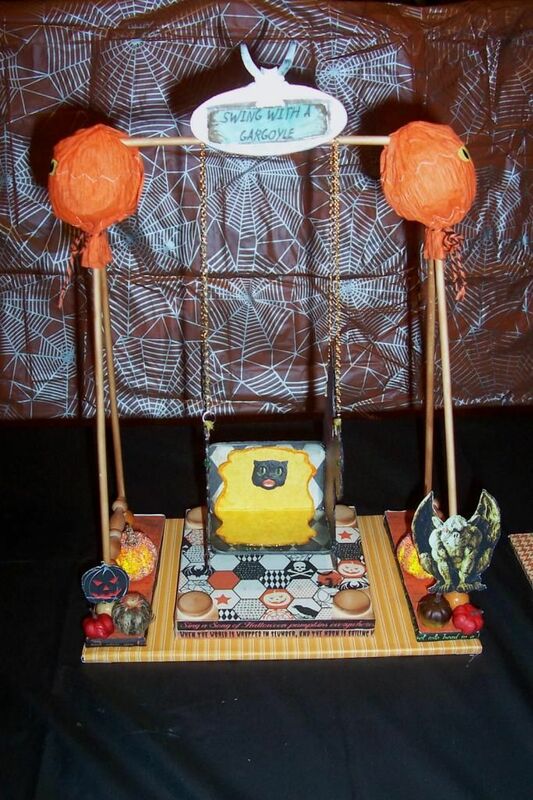 Another great idea; Swing with a Gargoyle. 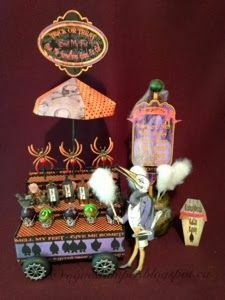 And here is Karen’s fabulous table scape loaded with all of her pieces. 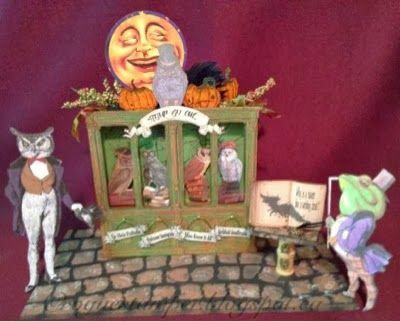 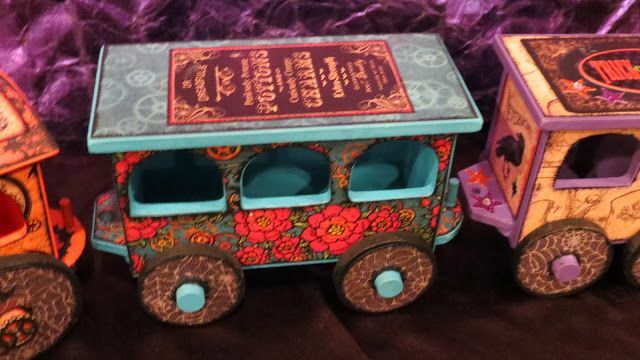 You can see more of Karen’s artwork on her blog “Karen’s Dolls & Stuff”. 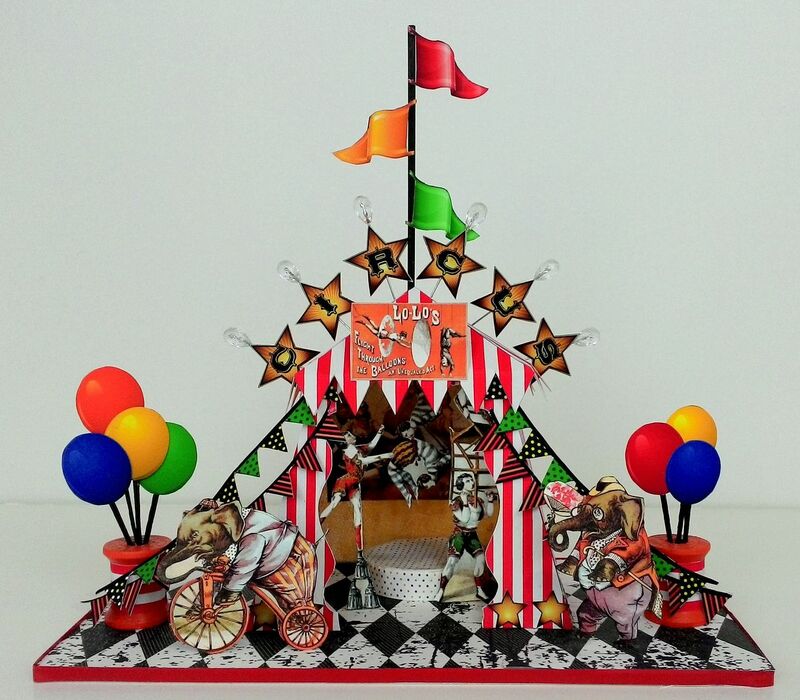 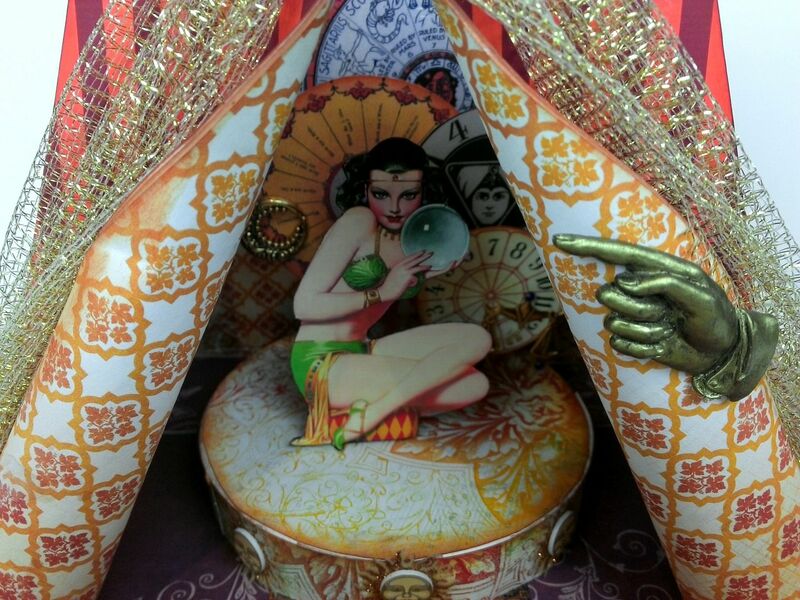 Step right up to check out my new 3D Tent Collage Sheets and DigitalImage Set available at Alpha Stamps. 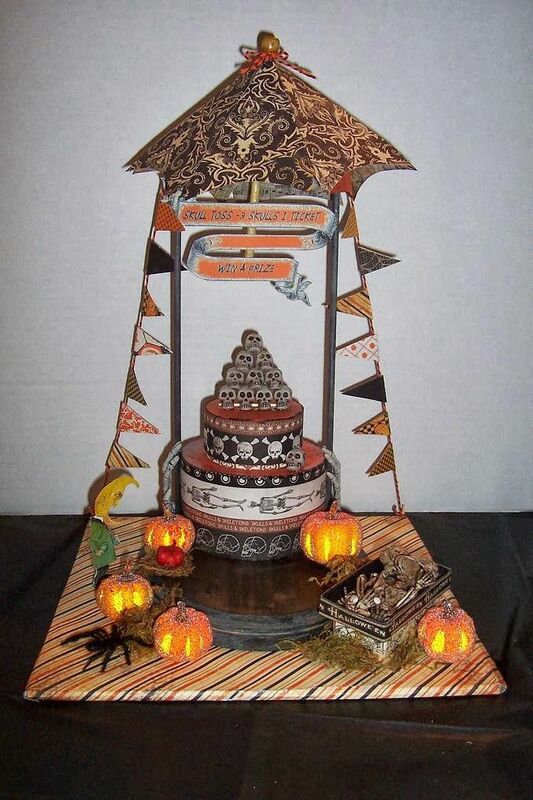 On offer are Halloween, circus, gypsy and carnival tents. 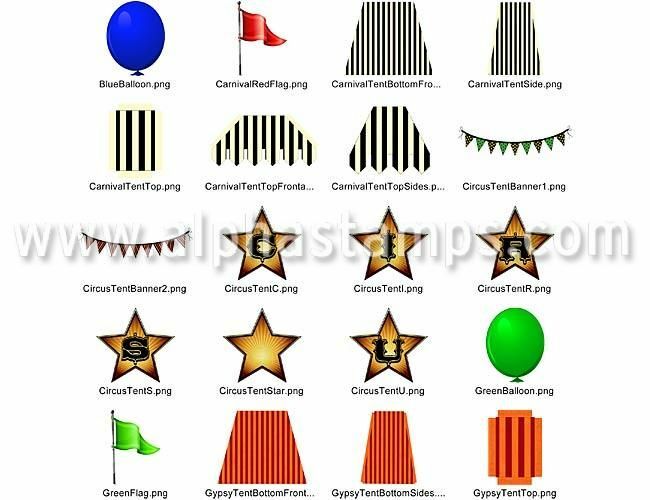 These tents work great for your art project or decorations for a party. 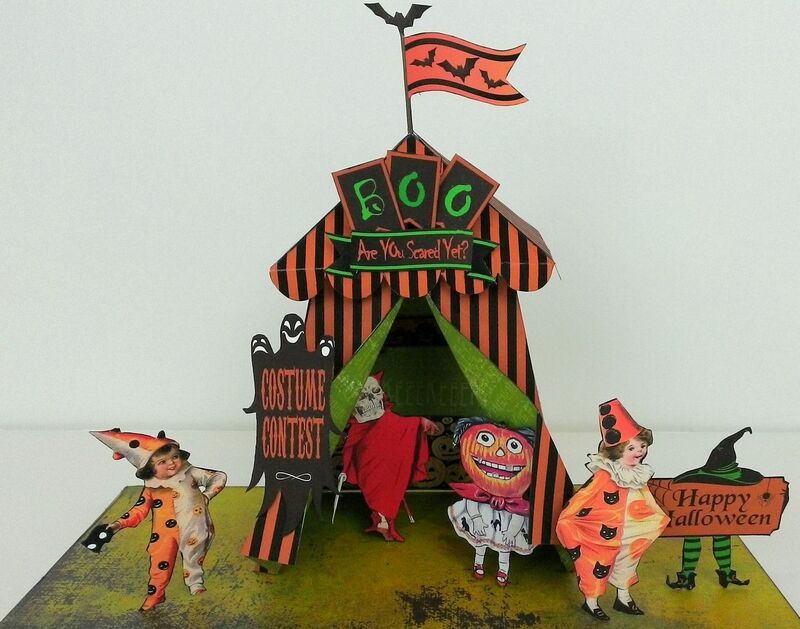 For those of you building a Halloween Carnival, imagine adding a few tents to your carnival display. 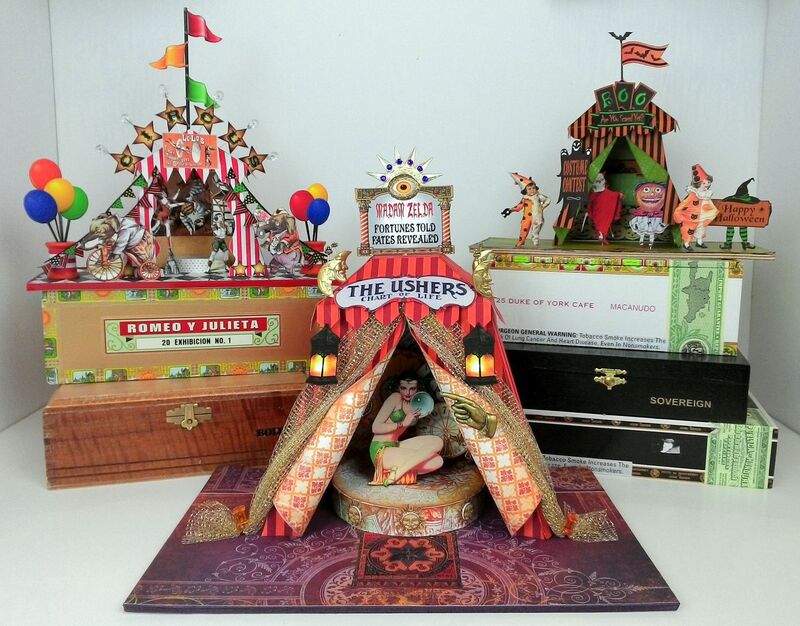 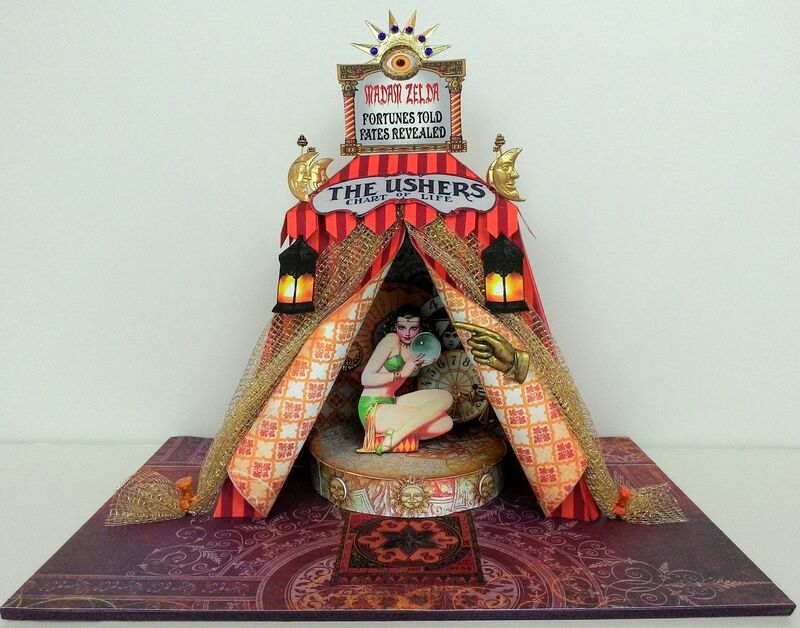 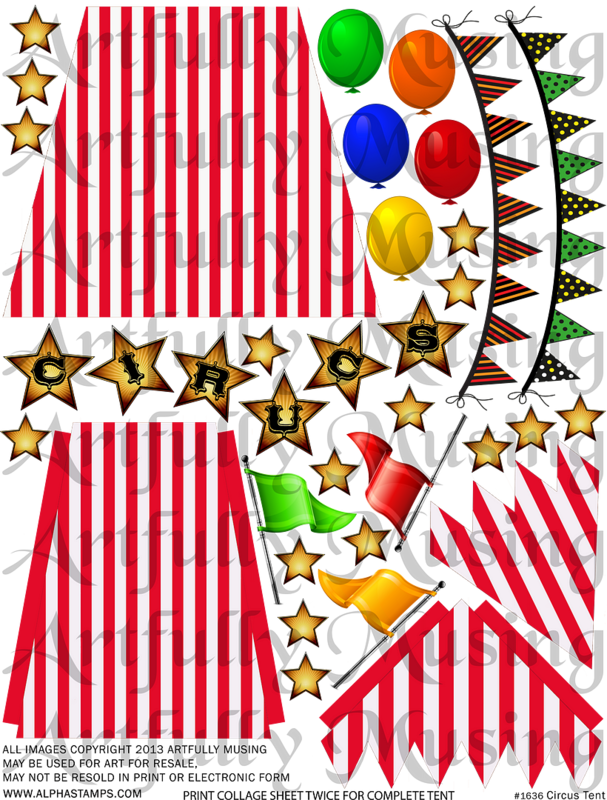 One collage sheet features a Circus Tent. 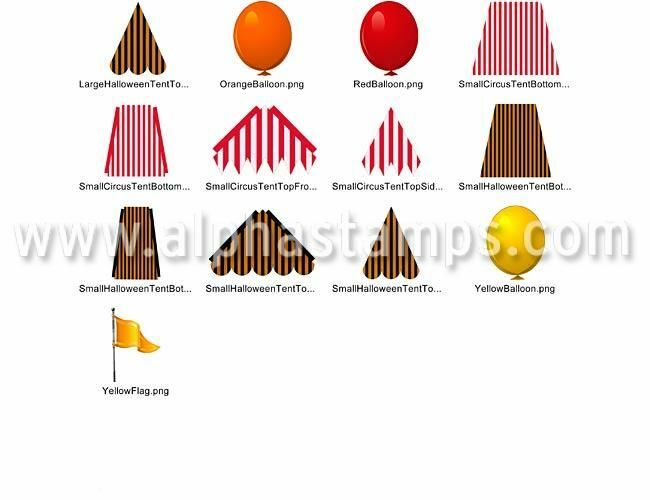 Printing the sheet twice gives you all of the pieces needed to construct the tent. 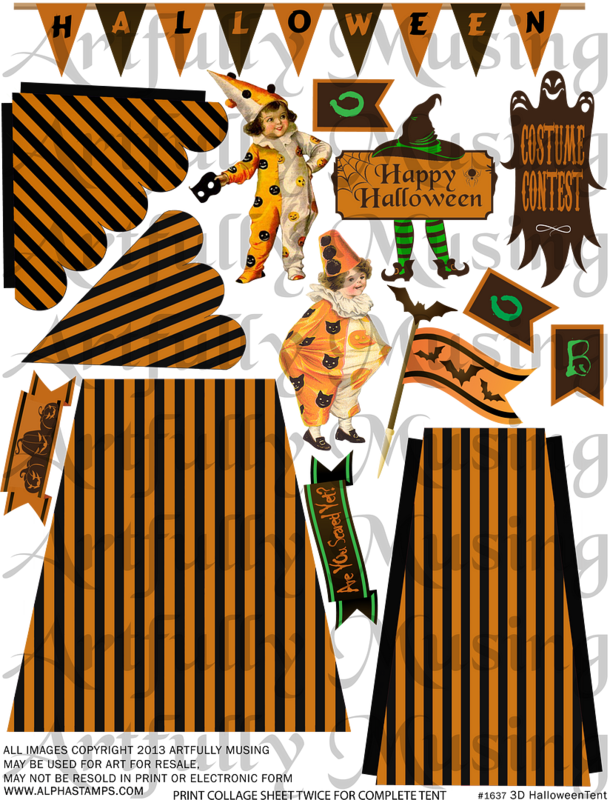 The other collage sheet features a Halloween Tent. 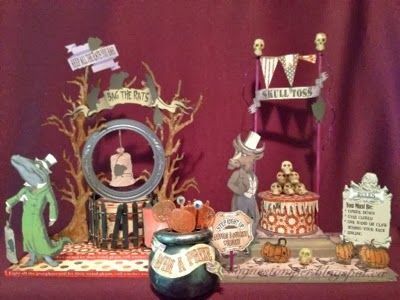 If you missed it, click here for a tutorial on how to work with collage sheets in a PDF format. 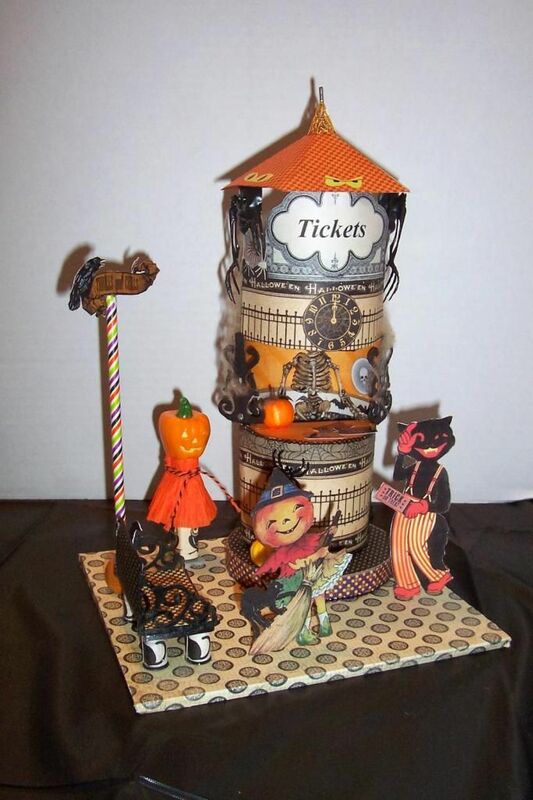 This includes cutting and pasting individual images and resizing images. 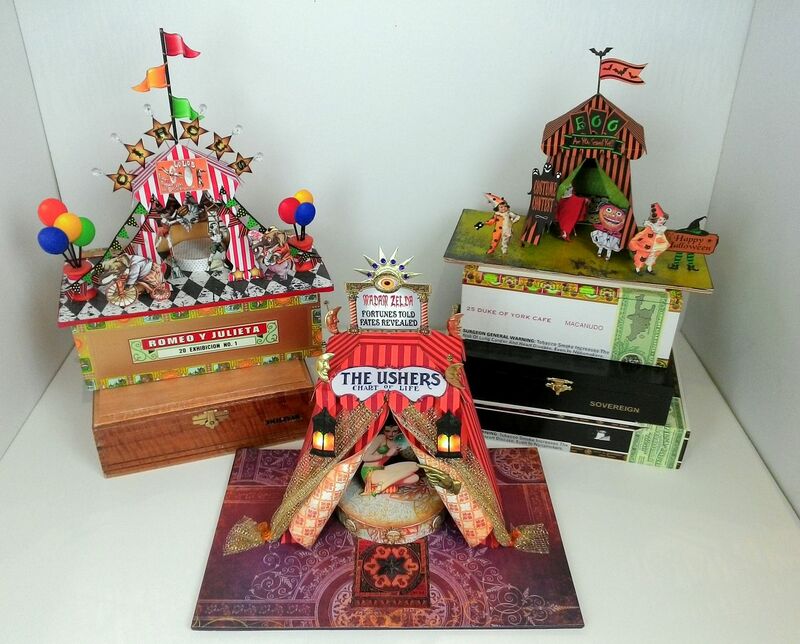 Digital image sets are a great option in that they allow you to easily resize individual images. 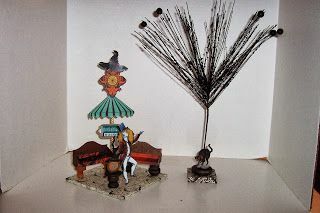 You can also print only the images you need. 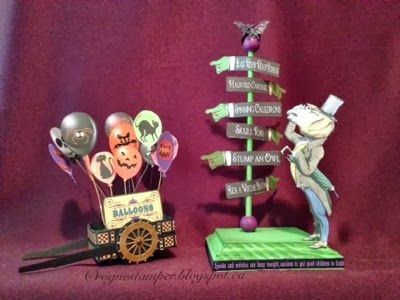 In this tutorial, I’ll show you how to assemble the 3D paper tents and give you all kinds of ideas on how to use the pieces. 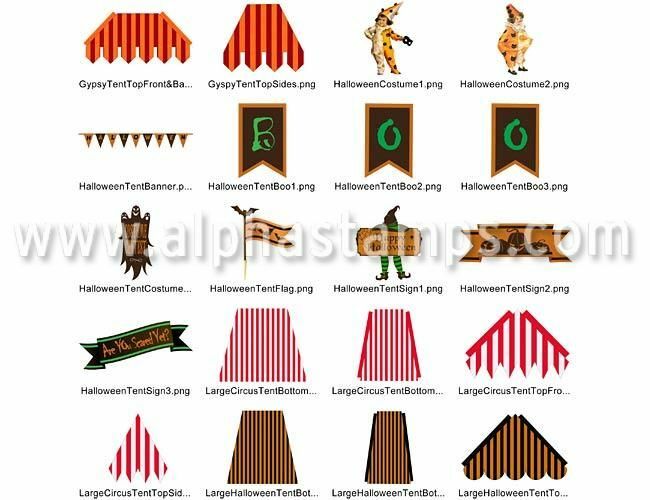 I’ll show you how to create a different opening for the tents, ideas on how to use just the tops of the tents and how to use the tent pieces as a pattern to create tents with other designs. 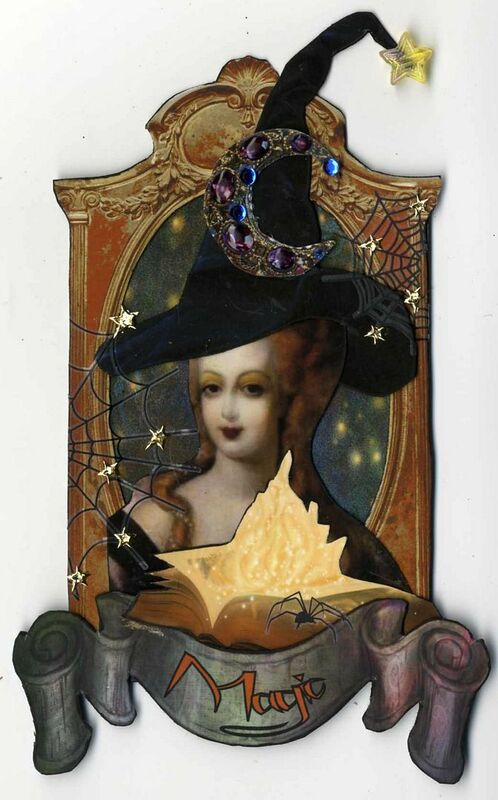 I made this ATC for a swap. 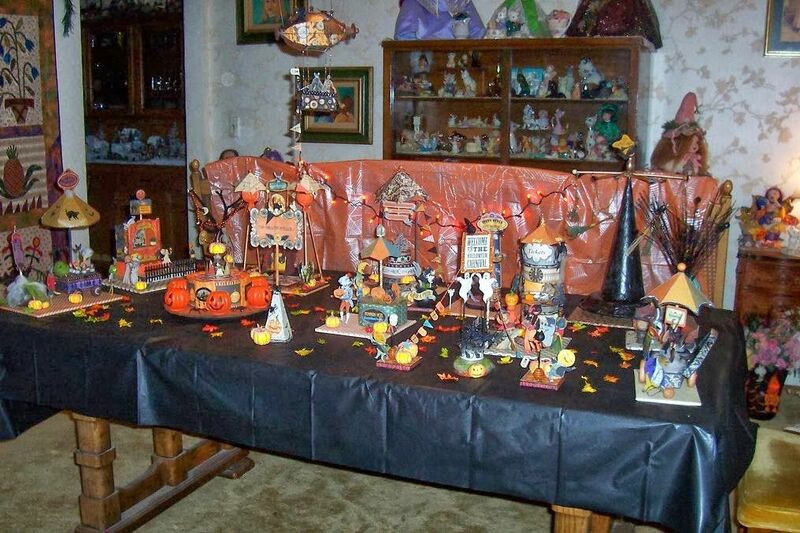 I figure Marie must be a little magic to have become so popular over the years.